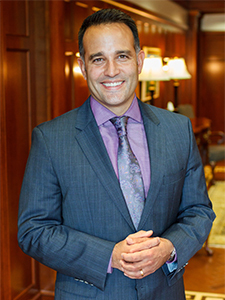 Dr. Ben Gutierrez has served as Professor of Divinity at Liberty University in Virginia from 2001. He has also served as Co-Provost & Vice President for Academic Affairs, Vice Provost for Academic Administration, Vice Provost for Undergraduate Programs, Administrative Dean, Academic Dean for Liberty University Online, Academic Administrator for Liberty University Extension Sites, Associate Dean for School of Religion, Chair of Pastoral Leadership Department, Acting Chair for the Department of Church Ministries, Faculty Senate Moderator, and SACSCOC On-site/Off-site Reaffirmation Committee Reviewer for University of Miami, Vanderbilt University, Nova Southeastern University, and Meharry Medical College. He has served in many leadership positions in local churches in the Midwest and East Coast. He has written or edited over a dozen books with some translated into Spanish and Portuguese. He is married to his wife Tammy and has two daughters.